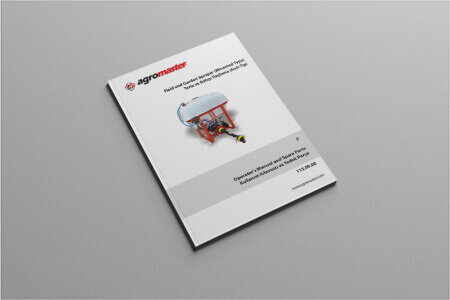 Agromaster sprayers are versatile sprayers ever built. 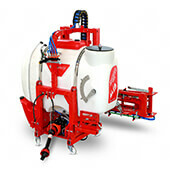 ALFA series HEAVY-DUTY Field sprayers are durable for many options and it finds use in traditional farming, horticulture, orchards,vineyards and on grasslands.Mounted type 600, 800, 1000 L field sprayers are used for multipurpose plant protection.Sprayers are connected to the three point linkage of tractor and powered by P.T.O.18M avaible Full Hydraulic Boom functions can be controlled from tractor cabin. 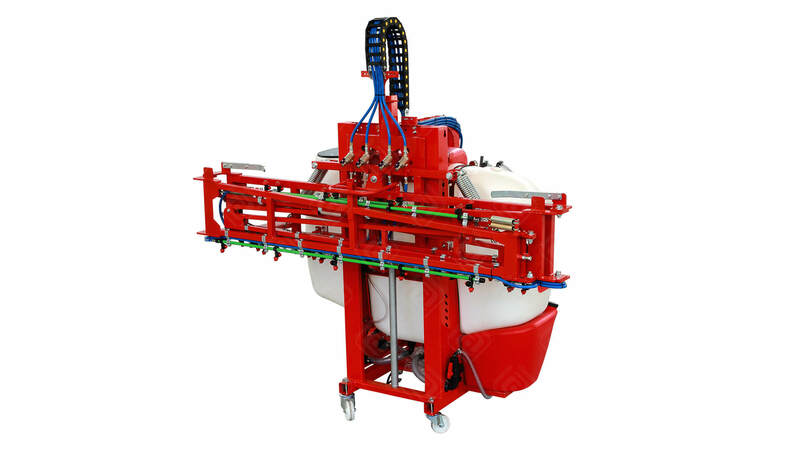 Mechanical or semi-hydraulic boom can be adapted with Alfa series sprayers.Alfa series sprayers has a tank washing system fulfill the cleaning tank after usage. 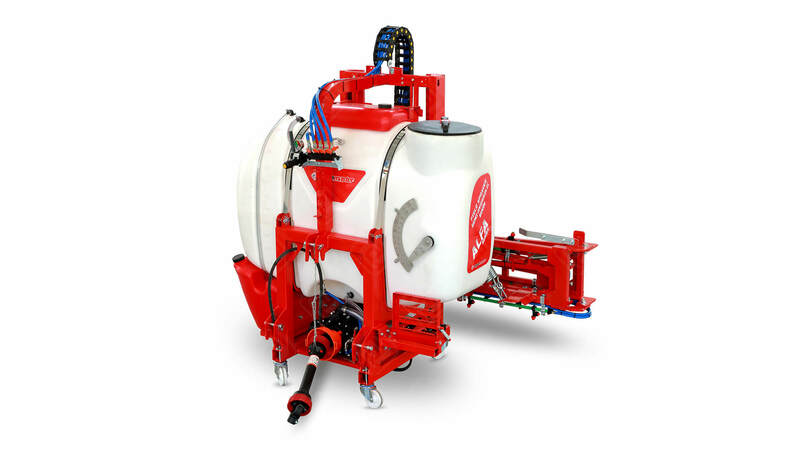 It is providing to protect inner surface of tank from corrosive chemical substances.With those sprayers all kinds of field crops could be sprayed. 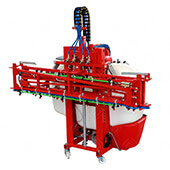 By means of TeeJET or conical nozzles on booms, destruction of weeds and diseases which are affecting the health of plants like ; wheat, barley, sorghum, corn, canola, raps, cotton, sugar beet, sunflower etc. 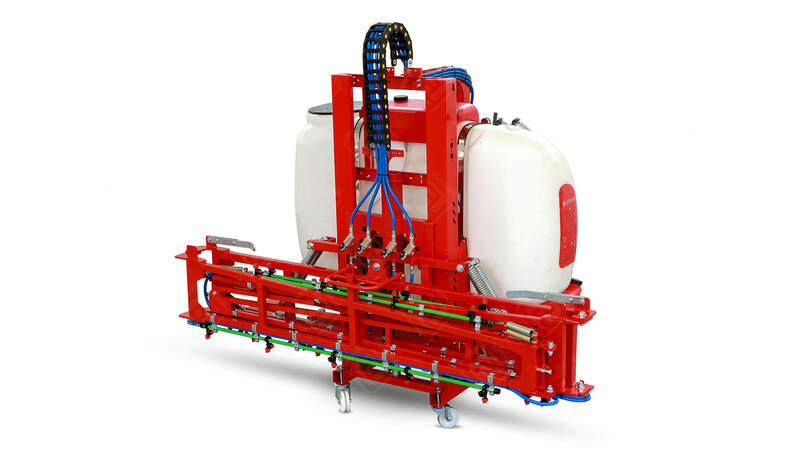 Is prevented.600, 800, 1000 L sprayer tanks are produces from polyethleylene material.Sprayer booms are produced in lenghts 14, 16, 18 m.On demand, balance springs on the both sides of the boom keep the balance of the sprayer.Boom sprayers are optimum for plant protection process such as herbicide, perticide, fungicide etc. 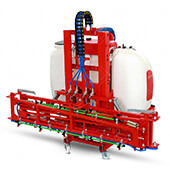 Also for the sprayers, hoses and spray guns are attachable. 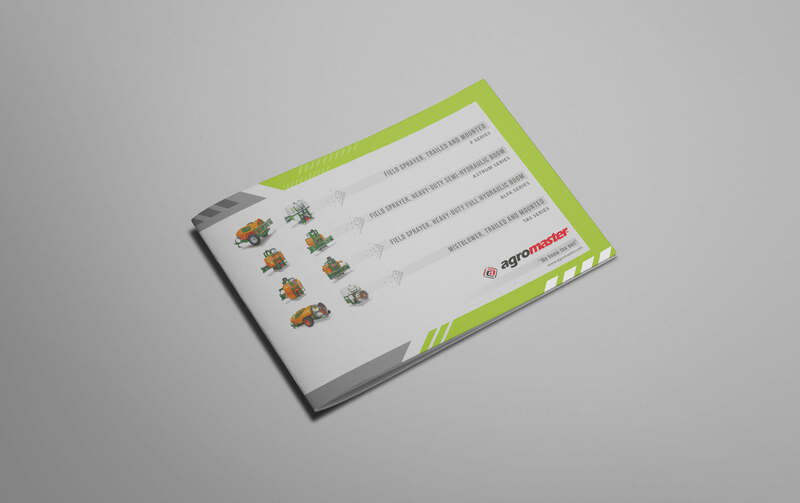 ft.in. 8'11" 8'11" 12'12" 12'12"
ft.in 2'6" 2'6" 2'6" 2'6"